Simple tips for getting your readers to engage on Disqus for the first time. 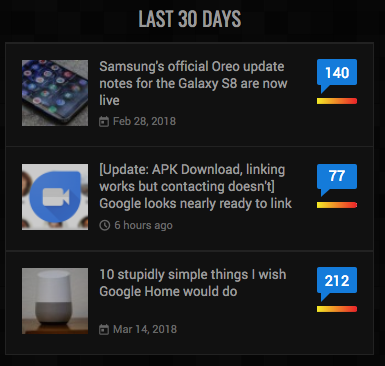 Add a comment count to articles on your homepage so readers know where discussions are happening. Make it easy to find Disqus on your stories, even if you hide comments behind a click. If you want to have a conversation, you have to start it. End your stories with a question for readers to show that you’re interested in hearing from them. Be active and present in the comments by replying to readers, especially first-time commenters. Author participation builds trust and strengthens your community over time. Highlighting top comments has been shown to increase overall engagement by 30% according to research by the Engaging News Project. 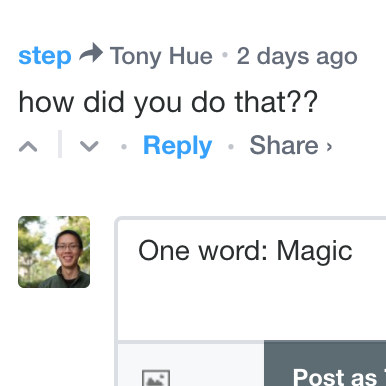 You can feature comments or embed them directly in stories you publish. Readers will visit your site for the content, but they’ll keep coming back for the conversation. Analytics helps you measure the growth of your audience on Disqus over time and understand which stories generate the most engagement and why.